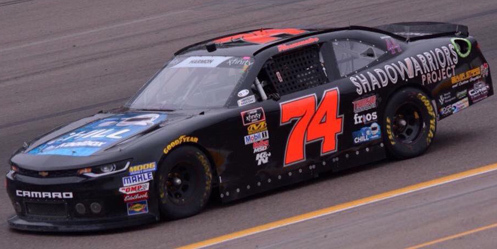 Mike Harmon picked up the 15th last-place finish of his NASCAR XFINITY Series career in Saturday’s Roseanne 300 at the Auto Club Speedway of Southern California when his #74 Chill by Koolbox / Shadow Warriors Project Chevrolet fell out with a blown engine after 6 of 150 laps. The finish, which came in Harmon’s 250th series start, was his first in an XFINITY Series race since April 10, 2015, when he lost an engine after 2 laps of the O’Reilly Auto Parts 300 at Texas. As with Saturday, that finish was his first in nearly three years, dating back to June 16, 2012 at Michigan. In the LASTCAR XFINITY Series rankings, Saturday was the 10th for car #74, the 497th for Chevrolet, and the 251st by reason of engine failure. 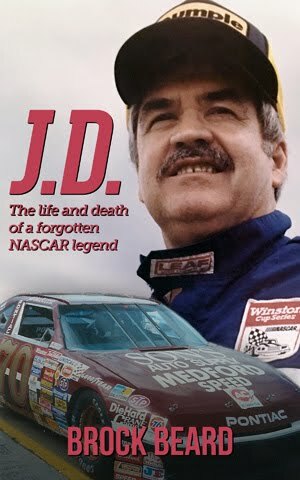 Among the top three series, it’s the 49th for the #74, the 1,582nd for Chevrolet, and the 1,053rd by reason of engine failure. Saturday was a historic moment for Harmon, the 60-year-old driver from Alabama. Not only was it his 250th XFINITY Series start, but also the 200th XFINITY start for his owner-driver operation, Mike Harmon Racing. It was at the same Fontana track on February 25, 2008 that Harmon made his first XFINITY start as an owner-driver, then campaigning a #84 Chevrolet sponsored by M-150 Energy Drink. Harmon started 40th that day and finished there, exiting nine laps in with handling woes. The two cars finishing behind Harmon that day belonged to MSRP Motorsports, whose drivers Scott Lynch and Larry Gunselman pulled off the track after five and three laps, respectively. MSRP, owned by Phil Parsons and Randy Humphrey, was widely regarded as one of NASCAR’s most notorious “start-and-park” operations. 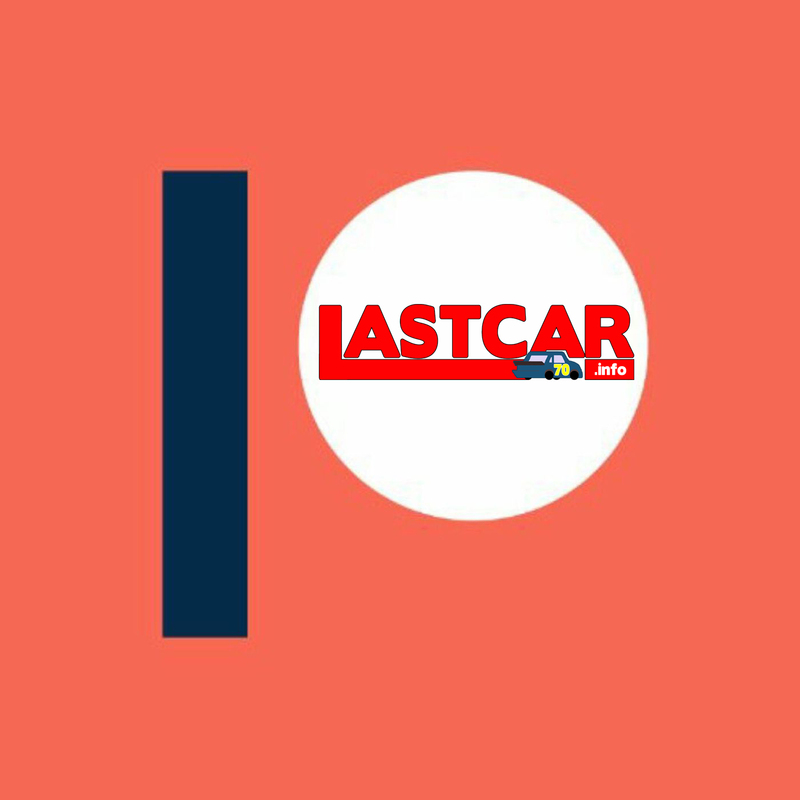 In 121 combined starts, the team’s cars never finished a single race, never finished better than 35th, and cruised to the 2009 LASTCAR XFINITY Series title with driver Johnny Chapman. With Harmon’s team also running near the back of the field, it’s been tempting to consider his program a “start-and-park.” But this overlooks the marked progress the team has made over those 200 starts. On April 26, 2008, in only his team’s seventh series start, Harmon finished 17th at Talladega, the first time his own car finished under power. He matched that finish at Daytona in 2013, the same year Kevin O’Connell wheeled one of his black #74 Chevrolets to a 22nd-place finish at Road America. The team also started to decrease their DNF count, from 18 in 2014 to 12 in 2015, and 10 in 2016, all the while qualifying for a larger number of races. Harmon has also helped fill fields in the Truck Series, helping out fan favorites Tommy Joe Martins and Jordan Anderson, among others. Harmon’s team has gathered a number of associate sponsors, and has also joined another racer and business partner, Jennifer Jo Cobb, in supporting several military foundations. On any given weekend, members of the armed forces can be found following the #74 team in the garage area, bringing further attention to backers like SupportMilitary.org, Hearts For Heroes, and last year a partnership with Veterans Motorsports, Inc. 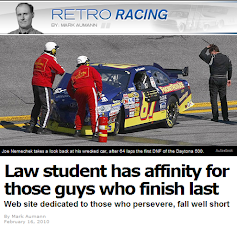 The Shadow Warriors Project, a foundation to improve the lives of wounded vets, joined Harmon’s team at Daytona. Through it all, Harmon’s team has outlived MSRP Motorsports, which was absorbed by Premium Motorsports in 2015. Since the closing months of the 2013 seasons, Harmon has fielded Dodges for most of his starts, even long after the manufacturer pulled out of NASCAR. But after his Dodge failed to qualify for this year’s Daytona opener, Harmon has only fielded Chevrolets. Following another DNQ at Atlanta, Harmon started 38th at Las Vegas, then finished 31st, followed by a 35th-place run at Phoenix. He looked to close out the “West Coast Swing” with a better finish. At Fontana, Harmon began the weekend second-slowest in the opening practice session on Friday, just under three seconds faster than fellow owner-driver Morgan Shepherd. He improved to 37th in Happy Hour, besting both JP Motorsports teammates Josh Bilicki and Stephen Leicht despite running only three laps. He turned in the slowest lap in qualifying with a lap of 163.741mph (43.972 seconds), but ended up 39th in the field of 40 when Las Vegas last-placer Dylan Lupton’s first qualifying lap in the #28 thinQ Technology Partners Ford ended when he spun and backed into the outside wall. 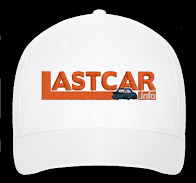 On Saturday, Lupton incurred a redundant tail-end penalty for the backup car, but quickly picked his way through the field, making his way into the mid-20s after Stage 1. Ultimately, Lupton would be felled by engine trouble on Lap 111, leaving him 33rd. By that point, Harmon had already become the day’s first retiree, citing engine trouble of his own. Harmon was adamant in tweets after the race that he did not “start-and-park,” but had actually encountered problems under the hood. Incidentally, it was also Harmon’s first bottom-five finish of the season. 39th went to LASTCAR record holder Jeff Green, whose #93 RSS Racing Chevrolet exited four laps later with brake trouble. 12 circuits after that came Morgan Shepherd’s #89 Visone RV Chevrolet, citing suspension issues. Finishing 37th was Matt Mills, who drew the first caution of the afternoon when his #15 Flex Glue Chevrolet for JD Motorsports made contact with the outside wall on Lap 33, ending his afternoon. Motorsports Business Management’s Chad Finchum rounded out the Bottom Five with engine trouble on Carl Long’s #40 Smithbilt Homes Toyota. If you’re a fan who would like to support Mike Harmon, he has some merchandise available for pre-order at this link. *This marked the first last-place finish for car #74 in an XFINITY Series at Fontana since March 26, 2011, when Harmon’s #74 Riverwalk Café Chevrolet had a vibration after 3 laps of the Royal Purple 300.